Welcome to our new website. We’ve created loads of free content for educators, so take a look around. Are you following us on Twitter? It’s a great way to keep up to date on new content! 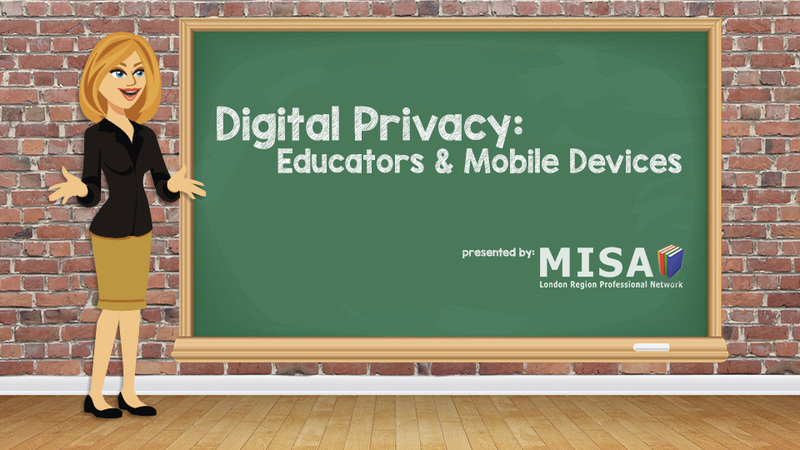 “Digital Devices: Educators and Mobile Devices” is built specifically to help educators navigate the world of tablets and smartphones, and how they relate to privacy concerns for students and staff. 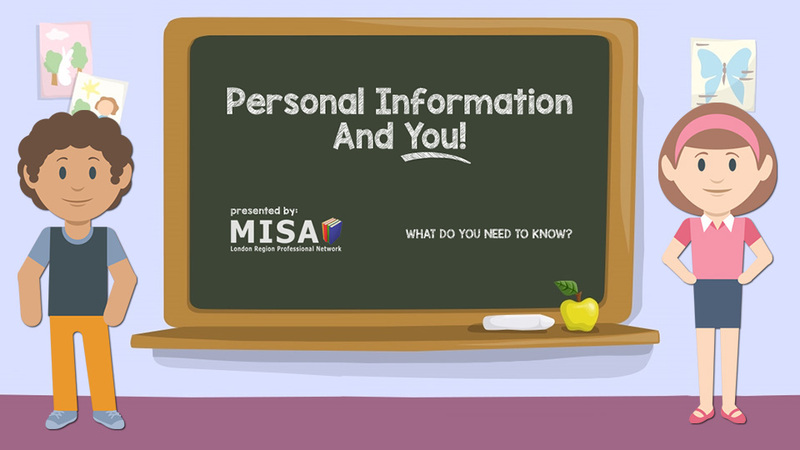 “Personal Information and YOU!” was built to help young students navigate the world of privacy, with an emphasis on technology and how they relate to privacy concerns for students. 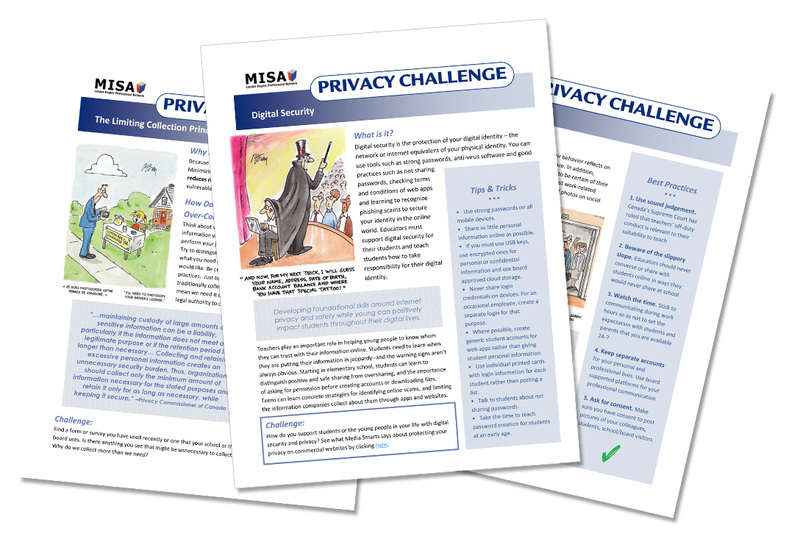 Have you checked out our new Privacy Challenge section? Each one-page document contains a key message, links to resources, and a quick challenge to enhance the learning. Do you have any comments, questions, or suggestions? We would love to hear from you! Use the button on the right to e-mail us.